Located on Violet Avenue in the middle of Poughkeepsie, New York, is a small café and creamery that serves some of the best food and ice cream that you will have in your entire life. The Violet Avenue Café and Creamery is one of Poughkeepsie’s most hidden gems and is a place that will change your life at Marist College for the years that you attend. 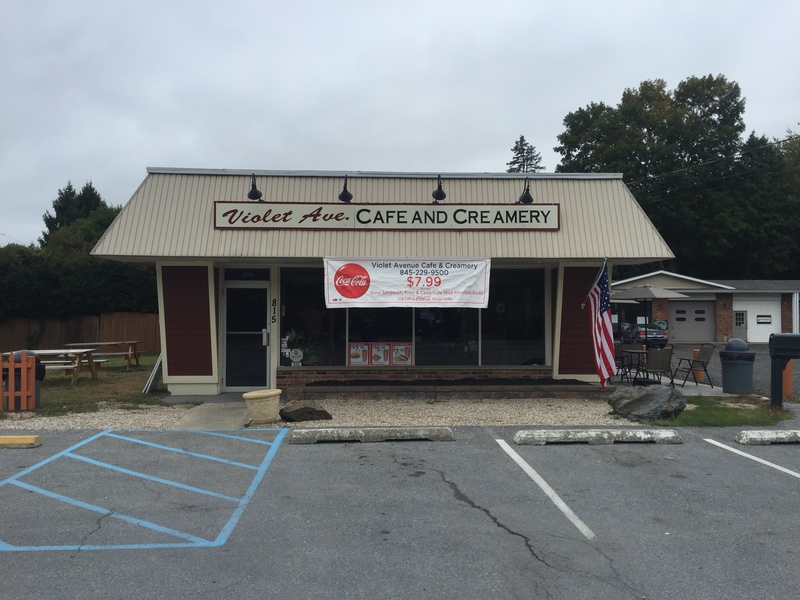 Originally known as Clancy’s Café and Creamery, the Violet Avenue Café and Creamery came under new management back on May twenty second of twenty-sixteen when the original owner of Clancy’s, Leigh Clancy, decided to move her business to a larger venue. With an open building up for sale new owners took over and opened up their own café and ice creamery. The owner, Eddie Z., told me that he wanted to continue the Clancy legacy by making his own hand made ice cream just like Leigh used to. While it may be under new management, the small, hidden restaurant still retains a lot of the qualities that made Clancy’s the great restaurant that it was. Clancy’s boasted a large menu with many different choices for customers to choose from and the Violet Avenue Café and Creamery is not different. Offering a wide array of choices, one can pick from the typical hot dog with ketchup and mustard and French fries, to a simple salad. 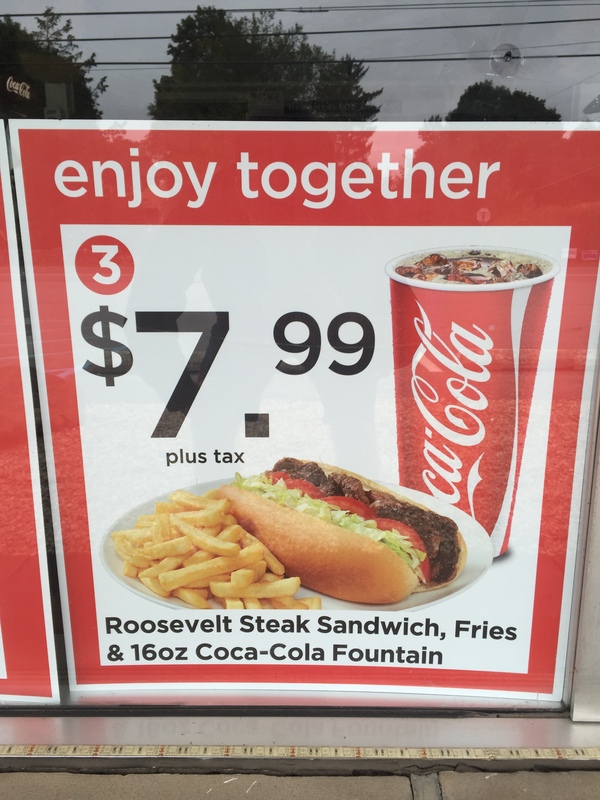 Personally, a favorite of this reporter is the Philly cheese steak, now called the Roosevelt Steak Sandwich. Clancy’s offered this sandwich and the Violet Ave is no different, in fact it may be a little better. What really is a selling point for this restaurant though is the ice cream. Every single scoop of their creamy delicious ice cream is entirely made by hand. You can get the simple vanilla, move your way to a mint chocolate chip, or if you are really feeling adventurous, they even have ice cream with alcohol mixed in for those who are over the age limit of course. The test of any good restaurant is the quality of their food. As Marist College senior, Curtis Brauner put it, “The food is still just as good as Clancy’s, and I have to say I will definitely find my way back to this place.” The food here sells the restaurant and while it is still technically a new establishment, those who came to Clancy’s beforehand will and most certainly should find their way back to Violet Avenue to partake in the experience that is the Violet the Avenue Café and Creamery. This entry was posted in Hidden Gems, Off Campus. Bookmark the permalink.